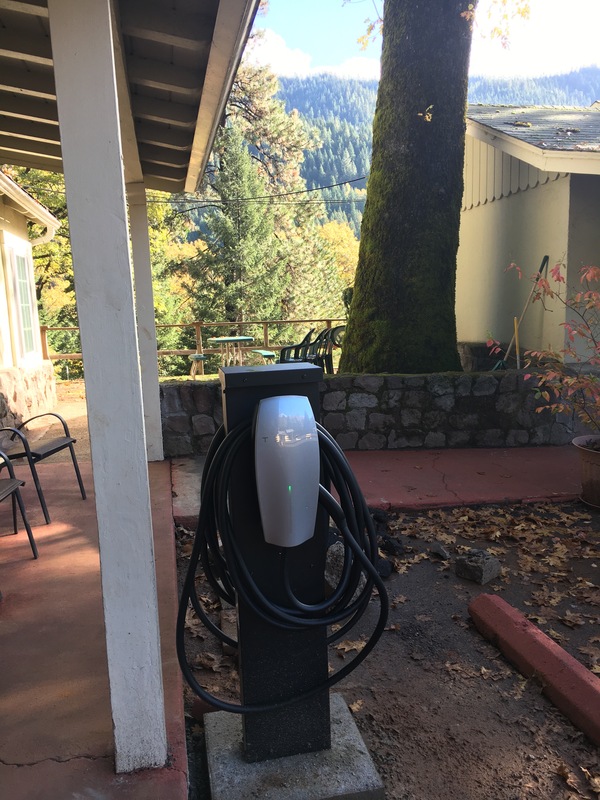 Newest Tesla Destination Charger In Dunsmuir! 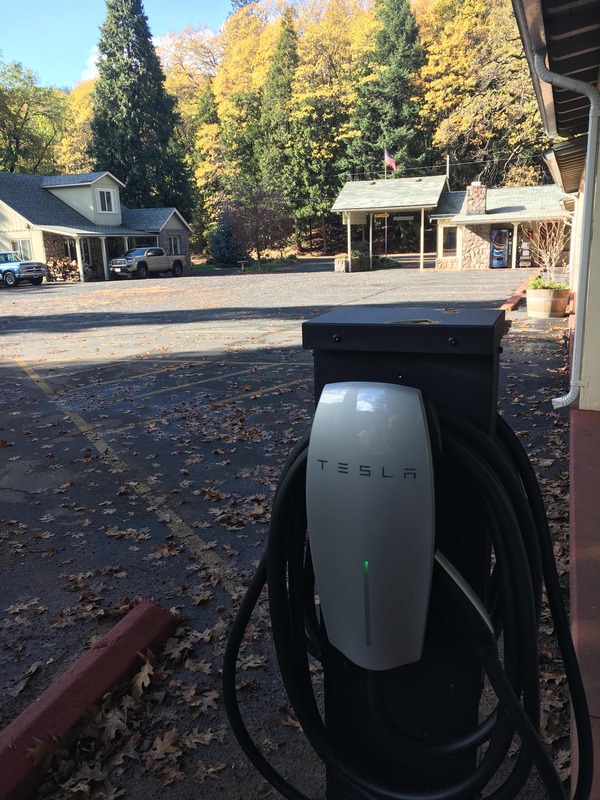 We are proud to announce that the Dunsmuir Lodge has joined the Tesla Destination Charging Network! Partnering with Tesla to bring the newest Tesla Destination Charger to Dunsmuir, California, we had two Tesla Chargers installed last November. Charging is free to overnight guests and $6 for drop-in charging while you wait. Manfredi’s is a short walk, with downtown Dunsmuir 10 minute’s walk. You can eat lunch at the Dunsmuir Brewery Works, Cornerstone Cafe, Wheelhouse restaurant, Pizza Factory, Burger Barn, or La Perla De Nayarit. Tesla’s Destination Charging Network will help bring EV travel to the masses. We are seeing regular use a few times a month with more inquiries and notes on internet reservations every day! We are proud to bring EV charging to Dunsmuir, California. Copyright © 2019 Dunsmuir Lodge. Written or verbal permission is required to reproduce any material contained in this website. Website by Silver Rockets.